Analysis by Global Future of the UK governments post-Brexit immigration policy shows a £1 billion cost to businesses in red tape and barriers to EU 27 students. 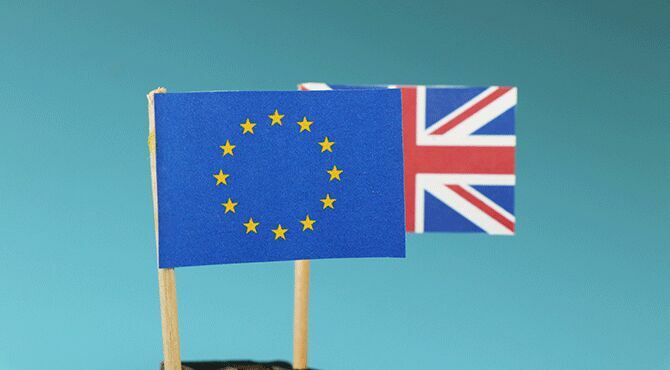 UK businesses and European Union students coming to Britain would incur substantial, new costs under the government's proposals for a post-Brexit immigration policy, according to an analysis by the free trade think-tank, Global Future. Fergus Peace, the report's author, said that while the Immigration White Paper, published late last year, contained some sensible measures, it represented overall "an unambiguous shift towards a more complex and burdensome immigration system. "Global Future said its analysis found that the plan would "conservatively" cost employers more than £1 billion in red tape over five years and would "impose an £80 million barrier" to EU27 students through new fees.The report said the immigration proposals would also "sabotage the government’s own integration strategy through a short-term work visa which discourages migrants from learning English and putting down roots". Mr Peace said, "First, the new visa system - with its £30,000 threshold - will put off workers the government wants to attract and keep out many we desperately need, not least the low-paid workers who keep our social care sector on its feet. "Requiring the Europeans who are allowed in to secure sponsored visas will create a £1 billion bureaucratic headache for employers, including the NHS - siphoning hundreds of millions of pounds in visa fees out of cash-strapped hospitals and into the Home Office. "The government presents ending free movement as the great prize at the centre of its Brexit strategy. But ultimately this White Paper is a plan to close ourselves off from the world. That's not something to celebrate - it's a dreadful mistake." Red Tape. For the first time, tens of thousands of European workers will need to navigate the intense bureaucracy of the Home Office’s visa system – costing their employers £1.14 billion in five years. Hundreds of billions of pounds would churn from key public services back to the Home Office. The £30,000 salary threshold. More than two-thirds of jobs in the UK workforce would not qualify as ‘skilled’ under the government’s plans. The threshold would leave over 100,000 unfilled jobs in social care and nursing, and cause the total EU workforce to shrink by 2025, making it very difficult for businesses to survive and expand. Temporary workers. The proposed 12-month visas have been designed without considering the needs of the key sectors, like construction, which are most likely to use them. Their strict rules mean migrants will be discouraged from settling into the local community and prevented from mastering their work. Settled Status. The scheme exactly mirrors the makings of last year’s Windrush scandal, but on a much larger scale. The system is already creaking and will struggle to manage more than three million applications for fresh status. Even if it works, the new system will leave EU citizens with one of six different kinds of status, creating serious risks of confusion and error. Student visas. Our universities are a major British success story, and international students contribute nearly £15 billion to the economy each year. But the White Paper creates vast new barriers for European students whilst doing nothing to help universities against competitors in countries like the US and Australia. The report concludes, "The White Paper contains many sensible measures, like the proposed abolition of the Resident Labour Market Test. But its overall effect, predicated on the abolition of free movement, would only be to hold Britain back. "Relocate’s new Global Mobility Toolkit provides free information, practical advice and support for HR, global mobility managers and global teams operating overseas. Access hundreds of global services and suppliers in our Online Directory Subscribe to Relocate Extra, our monthly newsletter, to get all of the international assignments and global mobility news. Trade Secretary Liam Fox's announcement that the UK has only signed post-Brexit trade agreements with 6 countries highlights the importance of existing EU agreements to British trade with non-EU countries such as Japan and Turkey.